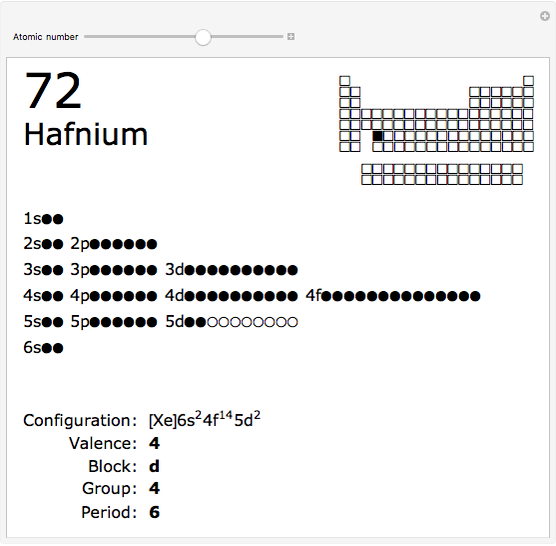 The order in which atomic orbitals are filled is quite curious, particularly among the transition metals and rare earths. Move the slider to scan through the elements and watch the configuration change. 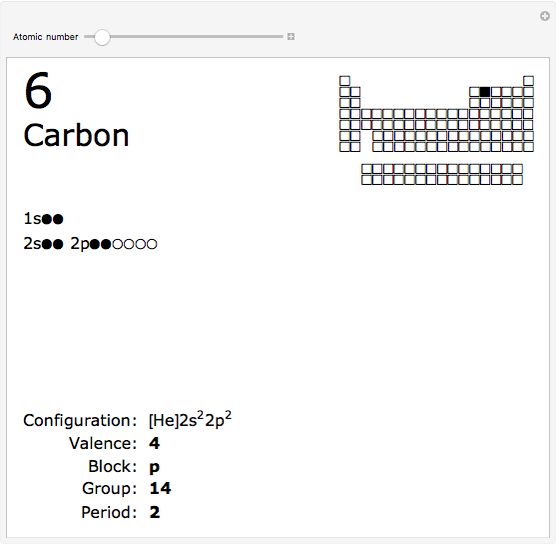 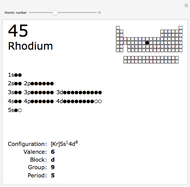 This Demonstration allows you to flip through the electron shell configurations of the elements and observe that the filling order is far from regular, especially around the transition metals, lanthanides, and actinides. 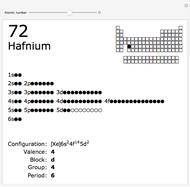 A full explanation of the quantum mechanics involved is beyond the scope of this Demonstration, but suffice it to say that much of chemistry can be understood by the order in which these orbitals are populated, and its often quite complicated, almost arbitrary appearance. Theodore Gray "Electron Configuration Browser"